WHY DO YOU NEED FOUNDATION WATERPROOFING? Foundation waterproofing is probably one of the most confusing aspects of residential construction. 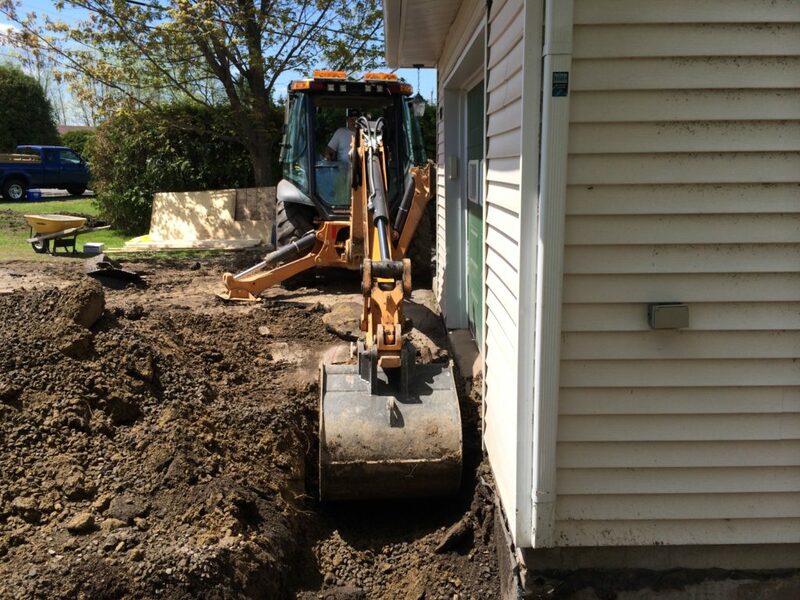 Most homeowners think they have a waterproofed foundation, when in fact they do not. Waterproofing is generally not used by a majority of builders, due to its higher cost. In an effort to stay competitive, some builders will cut corners in areas where the homeowner cannot easily see the finished product. Waterproofing is a prime example of this, due to the fact that it is generally covered early in the job by the dirt around the foundation. However, the higher initial cost of waterproofing is well worth it. Interior waterproofing methods used after a leak has developed are generally not as effective as a compound applied to the exterior surface of the foundation. 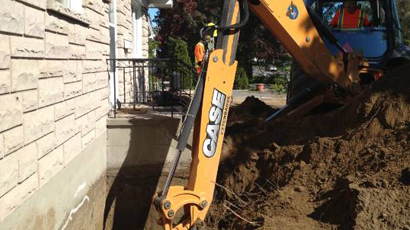 Foundation waterproofing is often confused with "damp proofing." Damp proofing is a process which retards or slows water penetration into foundations. Damp proofing is usually performed by applying unmodified asphalt coatings to the foundation surfaces. Most of these products become brittle when dry. Some of them can actually be dissolved by ground water. Virtually none of them have the ability to bridge foundation cracks. Untreated concrete and other masonry products readily absorb water from the soil around your house. This water travels through the concrete and evaporates from the inside surface of the basement wall. Frequently the walls will appear dry, however, the water is still being transmitted into your basement. That is why older houses frequently have "damp" feeling basements. Waterproofing, on the other hand, is very different from damp proofing. Waterproofing compounds are designed to stop water infiltration. These compounds or membranes can be extremely effective when applied on the exterior of a foundation system. There are a wide variety of waterproofing products available to homeowners. They are vastly different in their composition. Some of these products are urethane based, others are modified asphalts, some are clay based and some are rubber polymers. Most of these compounds have the ability to bridge cracks that might later develop in a foundation. This is extremely important. Some compounds can bridge much bigger cracks than others. When installed properly, these waterproofing compounds can keep a basement dry for many, many years.